The Ragdoll was given its name because of the way they go limp when you pick them up. This is a larger breed cat with a mellow temperament. Ragdoll's are very loving and adore spending time with their owners. They will seek out attention when feeling lonely and enjoy play time. 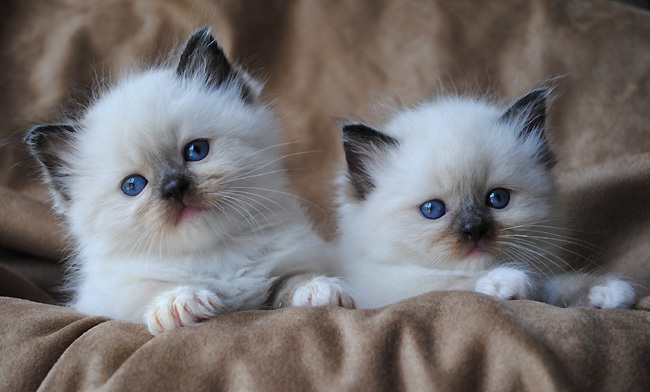 A Ragdoll will be loyal to its owner and makes a fun-loving companion. This breed makes a great family pet since they are very tolerant of children. Who wouldn't want one of these adorable kitties!